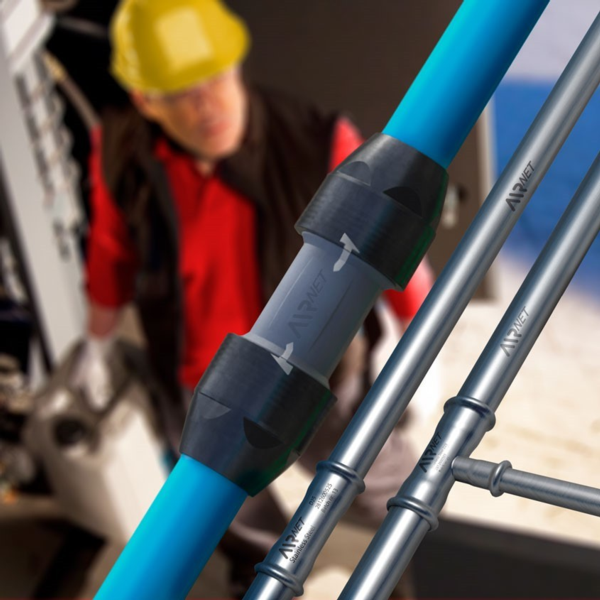 AIRnet - A Revolutionary Air Piping System From World Leaders in Industrial Products and Solutions Atlas Copco New Zealand. AIRnet is a state-of-the-art air piping system that significantly lowers energy consumption – and can save companies thousands of dollars in savings in the process. Designed, engineered and installed by the internationally-renowned industrial giant Atlas Copco, the system ensures maximum productivity and efficiency for compressed air, nitrogen, vacuum and other inert gas applications. An ISO certification ensures the quality of the air produced is of the highest standard, with air purity playing a huge role in the quality of all products that are created utilizing compressed air, in such industries as packaging, engineering and food and beverage. “AIRnet Aluminium is the most effective solution for your air or gas network. It’s fast and easy installation gets your operations up and running in record time. AIRnet is leak-proof and corrosion-free, and its pipes and fittings come with a 10-year warranty,” says Brian Jack, CTS Aftermarket Sales of Atlas Copco’s Hamilton branch. Available in aluminium or stainless steel, with a press fit system connection for quick and easy installation and a working pressure of 232PSI, the system is durable, long-lasting and efficient. “The piping system can be connected to any existing network, and it can be modified easily to meet any changes on the industrial floor. All AIRnet components are easily adjustable and reusable to facilitate future network extensions,” says Brian. Used in industries located in countries around the world, the AIRnet system is one of many ingenious products and solutions provided by Atlas Copco for compressed air and filtration technology. To find out more about AIRnet, or to contact Atlas Copco New Zealand, visit them here.